They’re not little kids and they’re not teens. They’re tweens, and they’re incredibly hard to buy for. But never fear, we have the best ever list of Christmas gift ideas that tweens are guaranteed to go gaga for. How do I know? Because each and every gift on this list has the ultimate seal of approval from my very own tween son, 10-year-old Jack. He assures me that every single thing on this list is “totally epic” in every way. 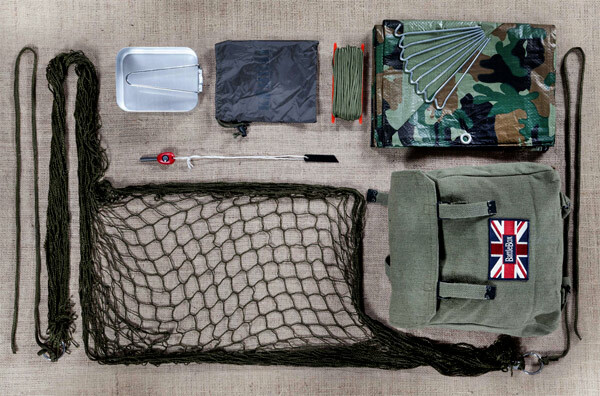 This is the Awesome Adventure Kit. Awesome by name, awesome by nature, it’s a kit of all the thing your tween needs to get off the couch and get exploring outdoors. 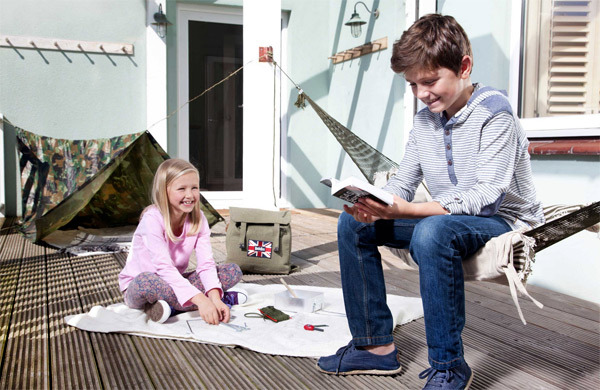 It contains a tough waterproof tarp and pegs for creating a makeshift tent, rope, a fire starting kit, a military strength hammock, a proper army mess tin for cooking up an outdoor feast once they get that campfire going, plus a canvas rucksack to keep it all in. I can’t tell you how much I love this kit. It’s not a toy, it’s the real deal designed to get kids in the mood for a real adventure and away from their video games and smart devices. It costs £34.95 from BattleBox. Contact them directly to enquire about shipping from the UK. If they are going to get on the computer, at least make it productive. This Morph Animate It animation kit, from the creative brains behind Wallace and Gromit, will have your tweens turning out their own claymation movies in no time. 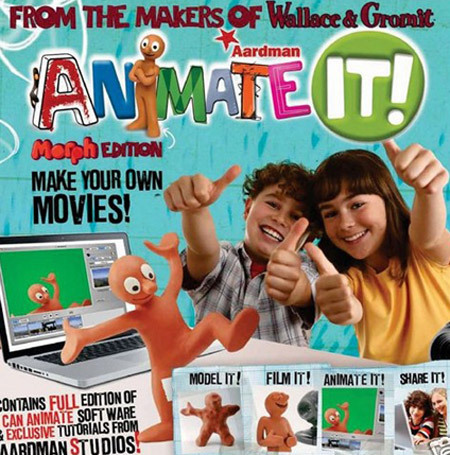 It comes with a mould and plasticine to make your own morph, plus a green “screen”, full tutorials and everything else your budding animator needs to make a movie, except a USB webcam or Firewire DV camera. It costs £29.99 from Aardman, with shipping to Australia available. Kids who enjoy craft and sewing projects will be sew-sew happy (excuse the truly awful pun) with these rather lovely Sew Sista sewing cases. This is a brilliant gift that children will never grow out of, one that they’re sure to keep – and continue to use – as they grow into adulthood. Each case contains pins, scissors, needles, thread, measuring tape, buttons, a pencil and fabric and other bits and pieces for small craft projects. There’s plenty of room to add other sewing necessities too. Sew Sista sewing cases come in pink, blue or orange and cost $59.95. Babyologists lucky enough to live in Brisbane can team the cases with beginner sewing lessons for children as young as six years at Sew Sista’s Bulimba studio. 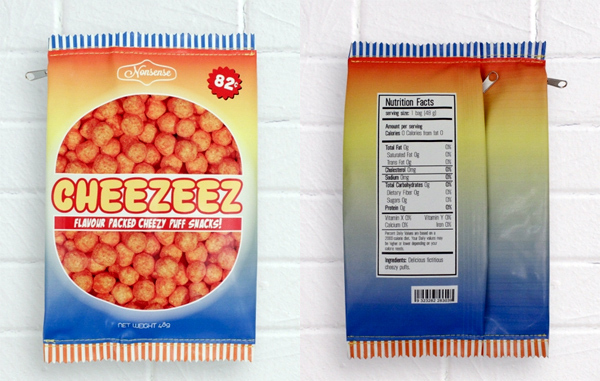 You might not like them to eat junk food, but how about letting them pack their pencils in it? This Nonsense Snack Food pencil case is a bit of fun that certainly had my kid laughing and adding it to his own Christmas wish list. 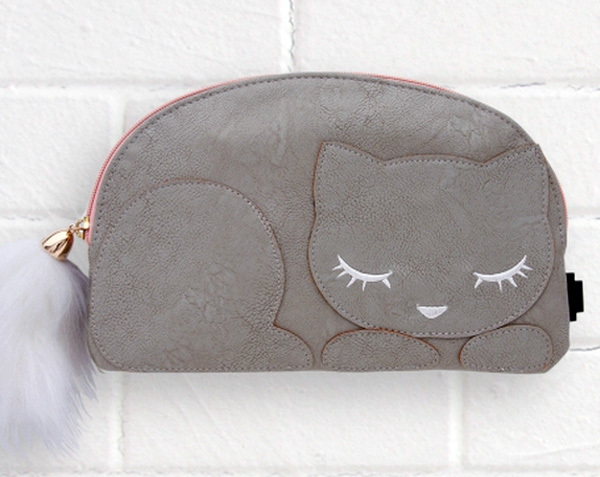 Find it at Pavement for $16.95, along with this very girly, very cute Sleeping Kitty pencil case. 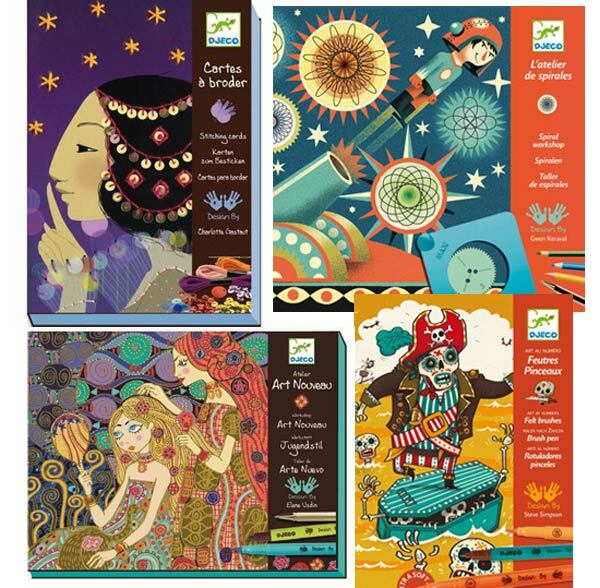 French toy company Djeco have a superb selection of craft kits designed just for tweens that will have them showing off their painting, drawing or stitching skills. If you’ve never seen a Djeco craft kit up close, believe me when I tell you they make exquisite gifts, from the packaging right through to the contents. Some of my favourite options for tweens include 1001 Stitching Nights Stitching Cards, Art Nouveau Workshop, Scientist’s Lab Spiral Workshop and Scared Stiff Felt Brush Workshop. Find them at Where Did You Get That, priced from $29.95. Build a working replica of Da Vinci’s catapult and learn all about the principles of stored energy and how ratchets work. A history lesson and science experiment in one, kids will get a real kick from sending the clay balls shooting more than four metres across the room when they get the model working. 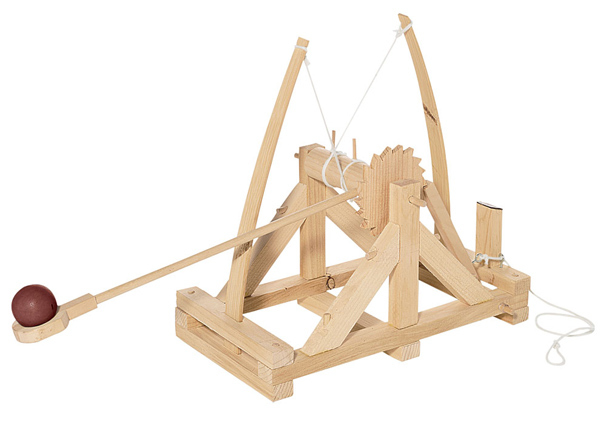 The Da Vinci Wooden Catapult Kit costs $42.50 from Tween Scene. It’s not unusual for kids these days to have their own iPads. If yours already have one – or if one’s being delivered by reindeer come Christmas Eve – then it’s a good idea to get a case too. These Apple & Mint iPad cases tick all the tween boxes – they’re cute, but not babyish, protective, but not too bulky, so you know your kid won’t be too embarrassed to use it. The cases, shown here in Aqua Flamingo and Purple Icecream patterns, cost $24.95 each at Apple & Mint. My older kids just about hyperventilate when I give them permission to enter a Smiggle store. So you can just about guarantee that anything from this just-for-kids stationery and gift mecca will be met with warm approval. These Smiggle sport headphones are all sorts of awesome, especially if it means you and the rest of the family are spared from hearing one more rendition of Cool Kids. 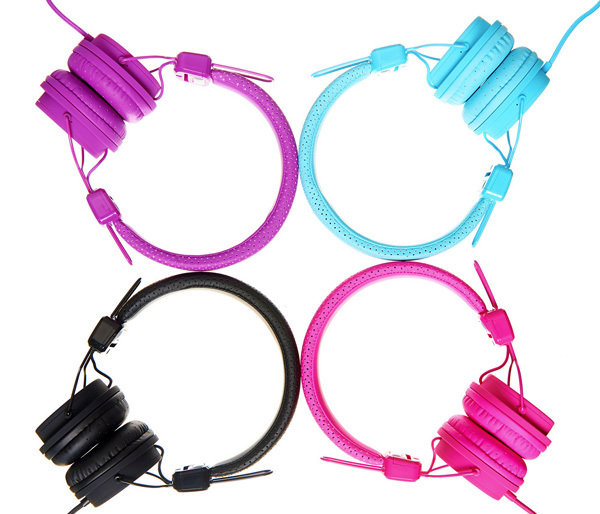 They plug into any device, including iPads and iPods, and cost $29.95 from Smiggle. The tween years are a danger age, especially for girls, for losing interest in science and discovery. So gifts that harness and encourage a child’s natural curiosity and invention are especially important. Green Science make some very cool science kits for kids and I have it on authority (thanks Jack!) 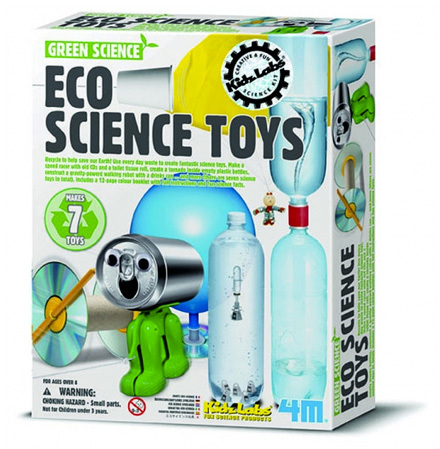 that this one – the Green Science Eco Toys Educational Kit – is especially “awesome”. Kids use everyday rubbish they find around the home – shopping bags, empty drink bottles, toilet rolls – to create toys including a speed racer, gravity powered robot, tornadoes, walkie talkies and more. It costs $19.95 from Mad About Science, which has an amazing array of science kits, including a brilliant CSIRO Forensics Kit that teaches how to dust for fingerprints, analyse handwriting, examine hair evidence and more. 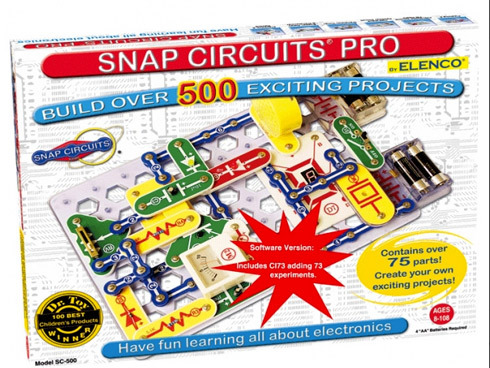 If you have a kid who’s interested in electronics, then I recommend investing in Elenco Snap Circuits. These toys are amazing in so many ways and may just set your kid on the path to becoming an engineer or industrial design guru. Kids can make all sorts of fun things with the various kits, with projects including radios, lie detectors. morse code generators, alarms, motion detectors and more. They’ll be learning about electronics and circuitry, even a bit of physics, in a way that cements science as fun. Which is just as it should be. Elenco Snap Circuits are priced from $23 for starter sets up to $160 for the giant sets over at Mad About Science. Now for the piéce de résistance, the present that just may have your most sceptical tween swearing on Christmas morn that “OMG Santa must be real!”. It’s Lego, but not just any Lego. It’s the long-awaited Minecraft Lego. It’s on the absolute top of my boy’s list, and most likely on the top of your kids’ too. 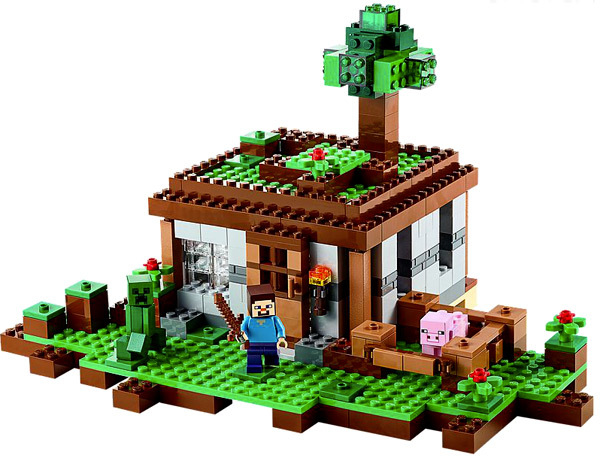 Lego Minecraft The First Night includes a Steve minifig and a pig plus enough bricks to build a shelter to keep them both safe from the all-important Creeper minifig. The 408-piece set costs $59.99 from Lego. Or make them think all their Christmases have come at once with the jumbo The Mine set. 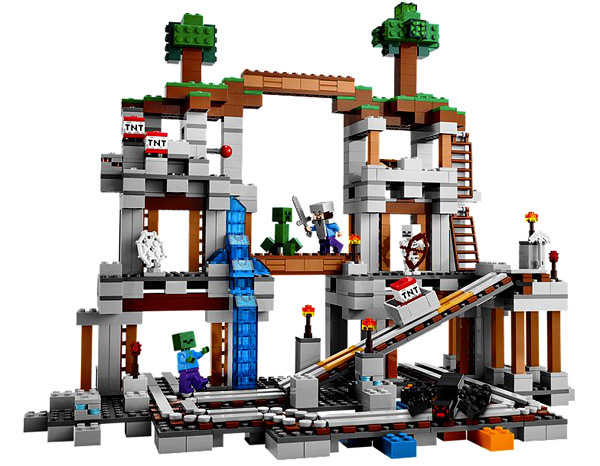 It has every Minecraft minifig a tween fan could want – Steve, Creeper, zombie, spider and skeleton, plus a way-cool minecart track. The Mine Minecraft Lego set has 926 pieces and costs $139.99. Finally, I’m a big believer in giving books as gifts – each of my kids gets a stack of new reads for Christmas – so I’ll finish my post with a round-up of some of the best books for tween readers. The Timmy Failure series of books by Stephan Pastis are hilarious. Honestly, you’ll hear your kid laughing out loud right from the other side of the house. 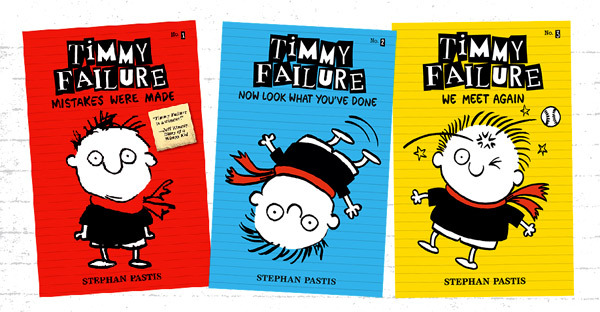 Find all three Timmy Failure books at Book Depository. Also load them up with Katherine Applegate’s The One and Only Ivan, Neil Gaiman’s The Graveyard Book, anything by Louis Sachar and, for mature readers, The Giver. Happy tween Christmas shopping! 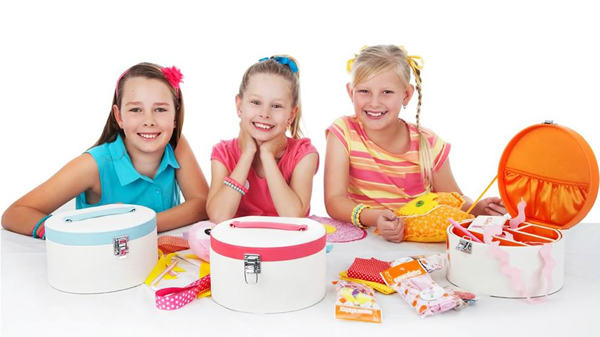 Tell us in the comments below what you’ll be giving the tweens in your life for Christmas.